A few days ago, Microsoft officially called it quits and announced that it will be ending support for the mobile version of Windows. Now, while the operating system doesn’t have much market share to speak of, it does have its own set of devoted, loyal fans, who have undoubtedly been heartbroken ever since the signs of Windows Mobile’s demise first popped up. But you know what? 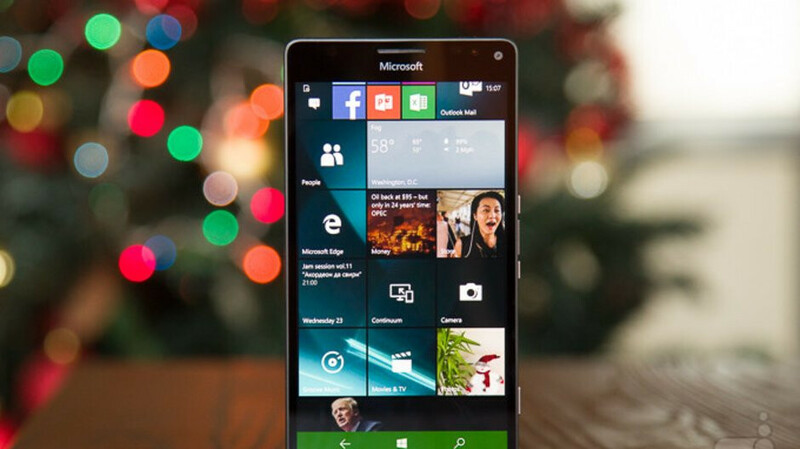 It’s not really over as far as Windows on mobile devices is concerned. In 2017, Microsoft announced Windows 10 ARM — a version of its desktop operating system that has been specifically optimized to work on processors with the ARM architecture, a.k.a. the mobile processors of today. Since then, we’ve seen a few budget laptops and hybrid tablet devices with Windows 10 ARM. Enthusiasts have managed to install Windows 10 ARM on their Microsoft Lumia 950 XL devices — the last and most advanced flagship phone that Microsoft produced before quitting the handset game. And, in the videos below, you can see the results. One shows Windows 10 running smoothly, while the other straight up boots the original Fallout game. Now, is this a usable alternative we recommend you jump on with your daily driver? No, not really. But it does show that the Pocket PC is not dead, it’s just being ignored right now. It seems that it’s fully possible that a manufacturer can pick up Windows 10 ARM, design a device around it and blow our minds. One can dream. what a shame. M$ could have made the best ecosystem but they somehow f*cked it up. The 950 may have been the most advanced Microsoft phone but not the most advanced Windows phone. The HP Elite x3 and the Alcatel Idol 4S were both technically superior. The x3 was the mule chosen by Joe Belfiore to demo Windows on ARM. I'm sure by now that Cotulla has played with one of these devices. Hell, he made Windows 8 boot on the HTC HD2 (aka The Last Emperor). Hey , I never understood but why is HTC HD2 regarded so highly and why is it so damn easy to mod ?Did HTC put out all the drivers in the open world ? Why haven't other phone manufacturers done the same with at-least a couple of their phone models ? Simple, nothing was easier to Hard SPL. In the Android world it's the equivalent of having an unlocked bootloader and custom recovery. Btw its microsoft lumia 950xl nokia name is not part of that model. Not surprised, Windows is a powerful OS. It's always funny when an independent developer is able to make possible what corporations with huge resources claim to be impossible. I bought Windows Phone 7, 8, 8.1 and Windows 10 Mobile and that's it. Thank you Microsoft for not believing in your own products and fooled millions of people around the globe. Bill Gates is time for you to take over the CEO position at Microsoft again. You go boy!